We provide a 24 hours a day service to our clients and offer a reliable, accountable counter surveillance services. We offer a quick response to all office sweeps or commercial TSCM services to clients within the London area and UK in general. One of the things that makes us stand out from the rest is the dedication of our professional staffs. Unlike most of the others, we see our services more than just a job. We fully understand and respect the right to one's privacy. With this in mind, it is not surprising to see our experts move out to carry out detailed office sweeps at any time of the day. These professionals are equipped with modern counter surveillance equipment to detect, locate and remove all known types of bugs. 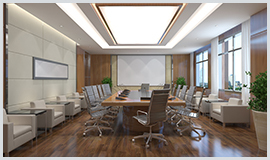 Our office sweeps are conducted fully to suit our client's satisfaction. Honestly there are equipment that are sold over the internet that claim to help detect and locate bugs. While these sell for at an affordable price and you may think you're getting the best deals, such equipment are not able to conduct an in depth bug sweeping. For this sole reason, our company has invested quite a lot of money in getting today's state of the art counter surveillance gadgets. There is practically no bug we can't detect and locate when carrying out office sweeps. What even makes us more appealing is the fact that, with our extensive counter surveillance equipment in store, we offer our services at an affordable rate. It may interest you to know that our price rate is one of the most affordable in the entire UK. When it comes to commercial bug sweeps, our client list spans across several business industries. To begin an effective bug sweep, the first and foremost thing to put in place is adequate equipment. Using several equipment like spectrum analyzers, high sensitivity signal detectors, GSM near and far field detectors, and so on, for counter surveillance allows for a proper sweeping of the place. Counter surveillance is something that should not be taken likely and for this reason, hiring a company with no meaningful experience, equipment, and expertise because they charge little is not really a smart decision. When it comes to your security and privacy, you should not play gamble with it. Most of these advanced bugs in today's world can be bought cheaply over the internet. Now this says a lot about why you should invest in a company that is skilled in detecting and locating these high tech bugs. TSCM surveillance can only be complete when the best equipment is employed in detecting and locating bugs. Are you in need of office sweeps for bugs or you suspect your privacy has been infringed upon, look no further for solutions. Just come to us and we would handle your case confidentially and professionally. We will send our ever able experts to conduct a comprehensive sweep in your office, home, or vehicle. Our services include bug sweeping to find bugging devices in the UK and effective TSCM which we can fully carry out in vehicles, houses, workplaces, and offices. In the past few years the features of the computers and the cell phones have become almost identical. Nowadays bugs, tracking devices and many other types of spy equipment have become so accessible that almost anyone with a little more money to spend can easily invade your privacy. People often don't consider the fact that they might have been bugged. In the past few years invading people's privacy has become too easy.